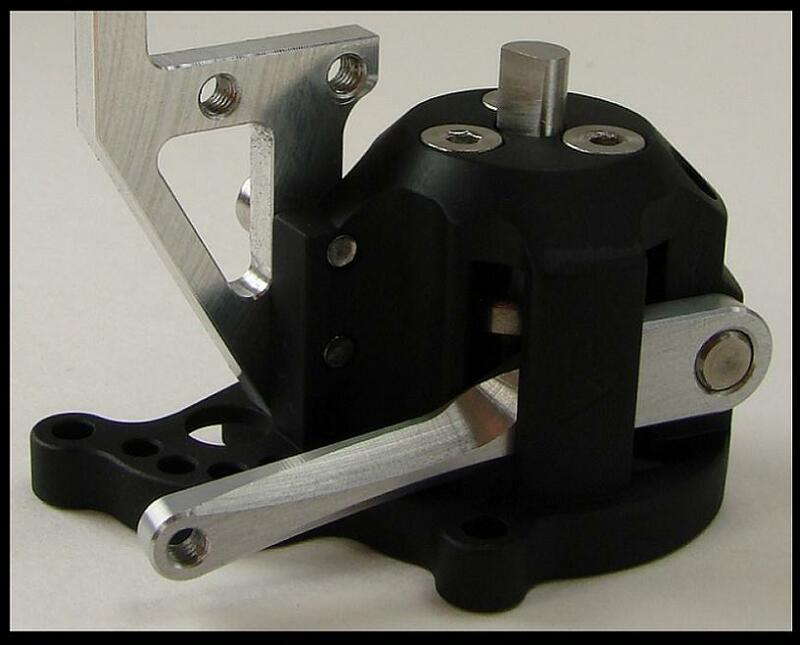 The Hurtz Shifter 3 Position Dig for the Axial AX10is pictured in the top two pictures. The Dig comes in two colors: Black (part#VPS01337) and Silver (part#VPS01338). The dig is designed to help the AX10 maneuver the vehicle over, around, and through obstacles better. This dig has three operating positions. First position lets the transmission operate as normal having the power go to both the front and rear axles. In the second position, the transmission sends power only to the front axle while the rear axle is in neutral. In the third position, the transmission send power to the front axles while is locks the rear axle from moving. A three channel radio and a standard size servo is needed to use the dig unit. In the bottom picture, is the option Hurtz Mini Servo Bracket (part#VPS01019). 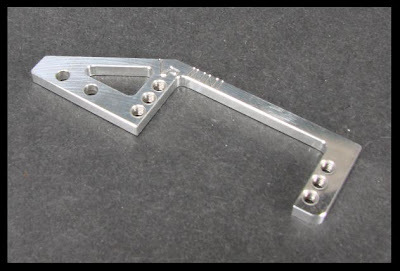 The optional bracket is designed for servos the size of a Hitec 225MG. The advantage of using a mini servo is it lowers the center of gravity closer to the ground. This dig unit is a must have to make the Axial AX10 into a competitive competition rock crawler.